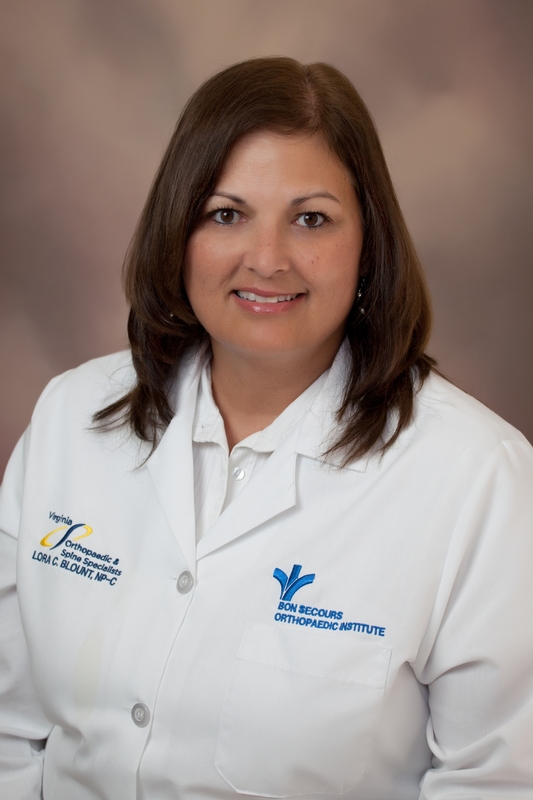 Lora Blount, NP is a Licensed Nurse Practitioner at the Virginia Orthopedic and Spine Specialists and The Spine Center of Hampton Roads. She received her Master of Science in Nursing in the Family Nurse Practitioner Program from Virginia Commonwealth University as well as her Bachelor of Science in Nursing Virginia Commonwealth University. Blount is Certified as a Family Nurse Practitioner from the American Academy of Nurse Practitioners. She received her Certification as a Critical Care Registered Nurse (CCRN) from the American Association of Critical Care Nurses, Blount is Certified as an ACLS provider and Certified as a BLS provider from the American Heart Association.